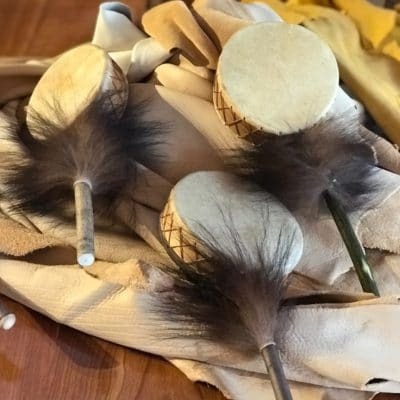 Buffalo Hand Drums. 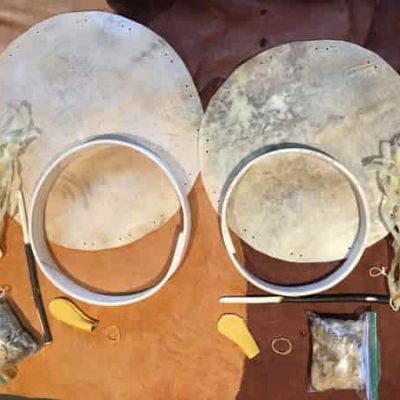 One of the most important tools in the Native tradition is the Buffalo Rawhide Hand Drum. 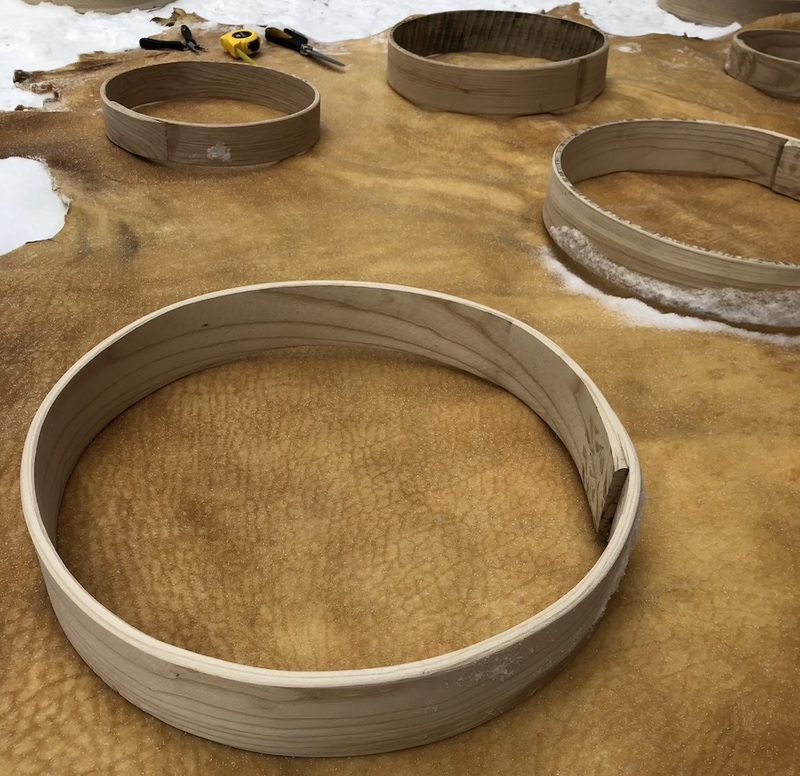 We have been working for quite some time to establish a secure supply of Buffalo hide. 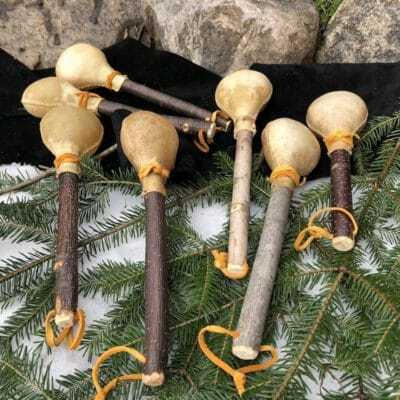 For Tribal Spirit, moose and deer hides are easy to gather….as there are lots of them living locally. But wild Buffalo are a rare thing these days. These hides come from farmed raised Buffalo. The grain on a buffalo is completely unique….there are shadows in the hide that would make you think of alligator. There is lots of character. These drums are all very strongly recommended for sweat lodge. (except the 17″ might be a bit big for a small lodge). Buffalo are similar to moose in that they have a very big tone and are very resistant to humidity. 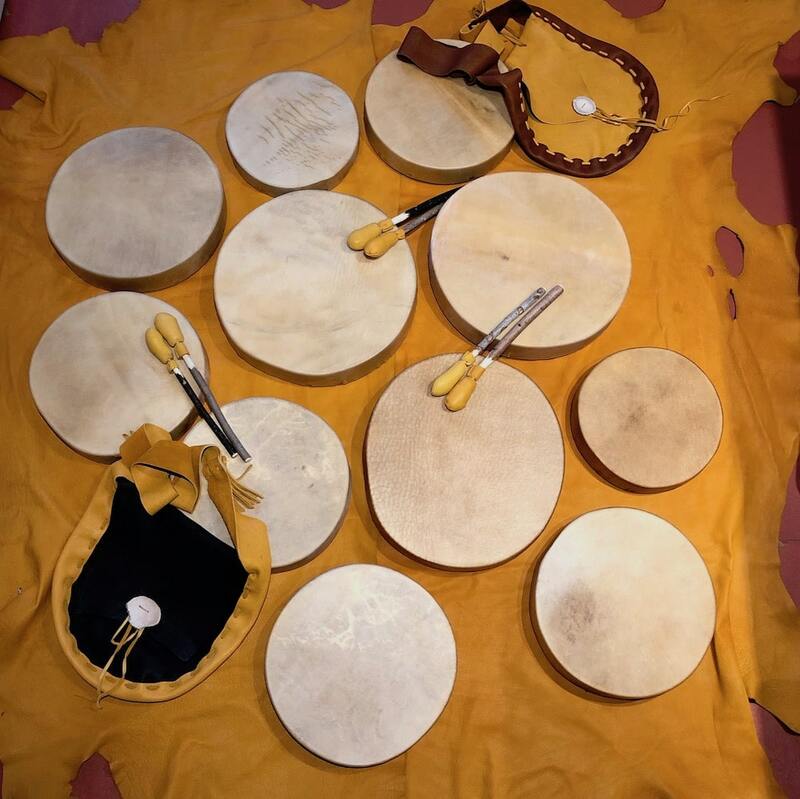 This drum will stand out in any circle or gathering.